There is a report of HIGH importance due out today at 3pm GMT. 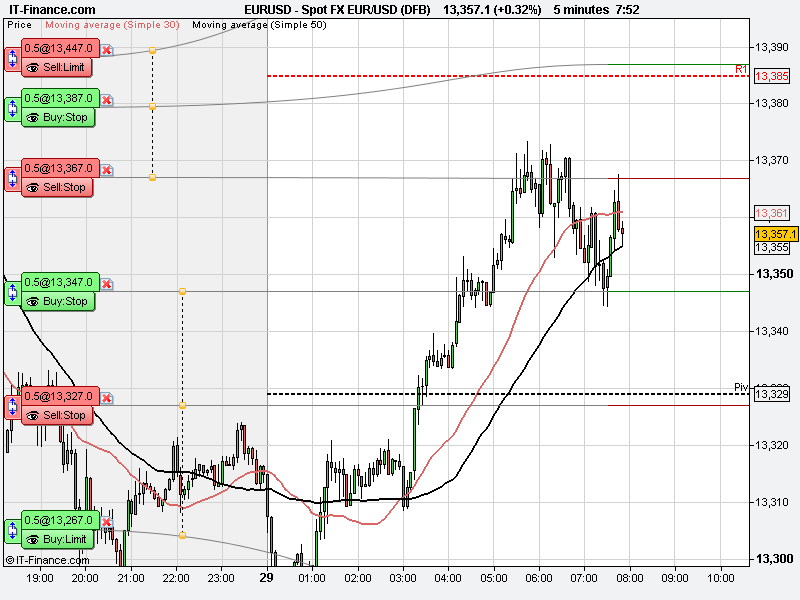 Trade very cautiously prior to the report. The Market is currently trending sideways. 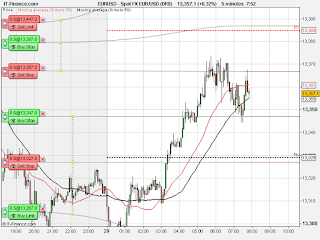 A pending BUY order has been placed just above R1 at 13387 and a pending SELL order just below the Pivot Point at 13327.